#GLUTENFREE: So often met with an eye roll, it’s not just for the health-conscious gym junkies or the trend-savvy-for a minority of us, the pain is real. We can’t eat gluten. This usually means saying goodbye to all the good stuff. Sandwiches? Sayonara. Pizza? Catch ya later! Doughnuts? So long. 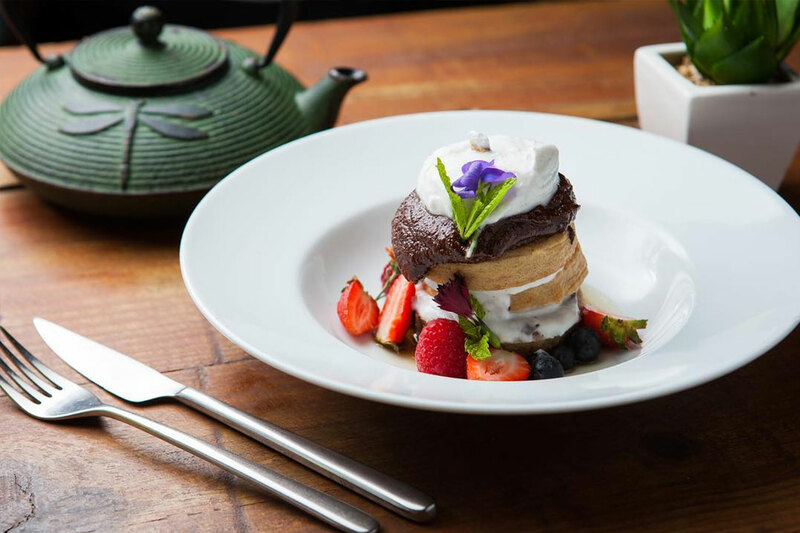 Now, it’s time to dry your eyes, gluten-intolerant friends, because we have found some of the most gluten-free restaurants Brisbane has to offer, with truly tantalising bites that taste less like the alternative option, and more like the star of the show. With a focus on Asian street food and an entire menu dedicated to gluten-free food, you’ll never go hungry at Chu the Phat. From fried chicken ribs to tea smoked duck legs and so much more, the menu is as varied as it is gluten friendly – Chu on that! We’re wild for Wilde Kitchen – this Teneriffe gem is 100% gluten-free – and this doesn’t mean you’re just stuck with a bowl of greens. From coconut panna cotta to protein pancakes, steak and fried chicken, Wilde has the alternative grain game DOWN, and you’d never taste the difference. Forget about saying arrivederci to pasta, your new famiglia in Woolloongabba is waiting for you with open, gluten-free arms. All pasta is handmade on site, and the team is more than happy to accommodate your needs – you’re family after all! We recommend starting with the oysters and antipasto all’italiana and then making your way through a delicious bowl of GF linguine alle vongole. Buon Appetito! At Saké the menu is almost totally gluten-free, which means you can go ahead and share a few eggplant and braised beef skewers from the Robata grill and then split a bowl of Korean fried popcorn chicken and salt and pepper squid, no worries at all. Before you even ask, yes, It’s Mirchi do gluten-free naan. Hallelujah! And that’s just the beginning – with their entire menu created to cater for food allergies, you’ll find gluten free entrees, curries and sides galore on their menu! Plus, it’s a whole lot healthier than most, so you’ll also miss the accompanying food baby. Sharing is caring, but it doesn’t usually work when one of you can’t handle a slice of pizza. But at Corbett & Claude, you’ll find a whole menu full of options, from the gluten free pizzas to the build your own cheese boards with gluten free crackers. Only problem is, now you’ll have to battle your friends for the last piece. The choices for gluten free dining are as endless as they are delicious at Libertine, so much so that you’ll finally have difficulty deciding what to eat. From the rice paper rolls and spicy popcorn chicken to crackling pork belly you’ll be in serious indecision, but if you’re up for it, Libertine will dish up a 7 course gluten free banquet for you! Every time we find a GF restaurant, we reenact the entire hillside scene from The Sound of Music, and Miss Bliss was no exception. Mull over a menu of crispy skin salmon, bliss bowls with roasted pumpkin, and vegan burgers while you’re sipping a sweet cheeks smoothie with mango, banana and coconut milk. Do you get excited when you see those little boxes with the initials GF on a menu? Well you’ll get real excited over Mons Ban Sabai’s menu then – it’s full of them! From the Thai fish cakes to the tom yum and massaman curry, there’s plenty to feast on here, so definitely don’t snack on rice crackers before you leave the house like you normally do. Gluten intolerant? No prob! 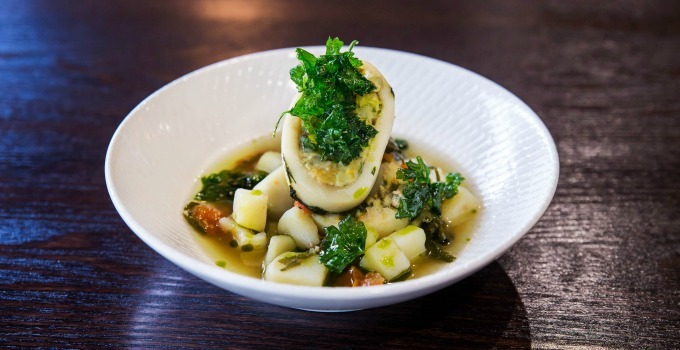 Nodo is a haven for us, offering almost an entire menu of gluten free eats. From milk buns and salmon to brisket cheeseburgers, blue acai bowls and kimchi waffles, you won’t have trouble getting your foodie fix here. Plus, their gluten free donuts are a must try. 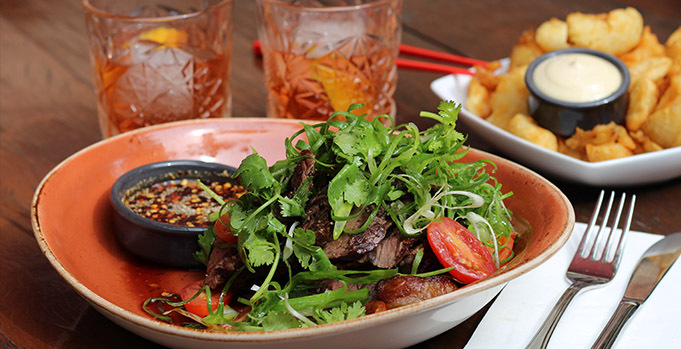 Helpful souls that they are, Madame Wu have an entire menu for gluten-free folk, one filled with the likes of wok-fried Moreton Bay bug meat, roasted pork belly and pan-fried Mooloolaba prawns. And bonus, you get to feel all special with your very own menu. Who said it was hard to find a gluten-free restaurant, Brisbane?